I remember it just like yesterday. Ted Cruz had just won a runoff for Senate versus David Dewhurst. 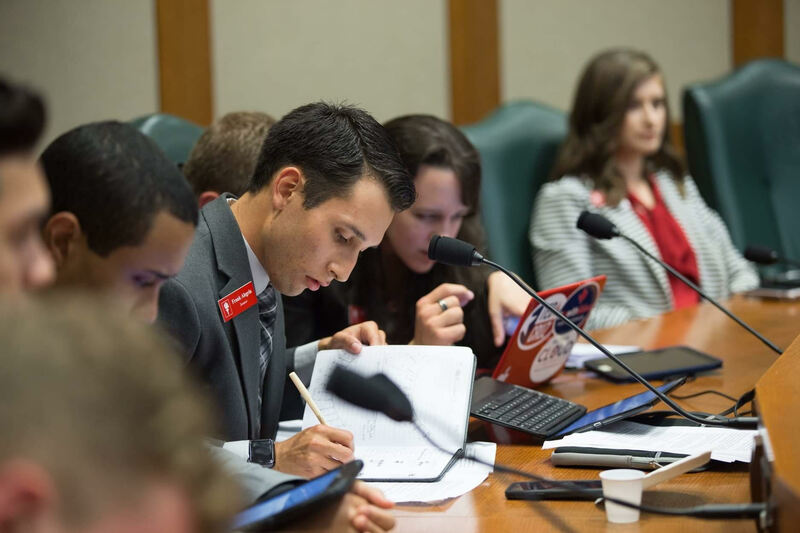 The exciting Tea Party wave that had elected figures in other states, such as Scott Brown, Mike Lee, Rand Paul, and Marco Rubio had officially come to Texas. I liked this different Republican and what he had to say. I began to think that because I liked him, that somehow I was conservative. It wasn’t until summer of 2016 that I realized I lacked standing for my claim. I began to see just how uneducated I truly was. I began to see that I really had no personal principles. That, for all intents and purposes I was really just adopting someone else’s. 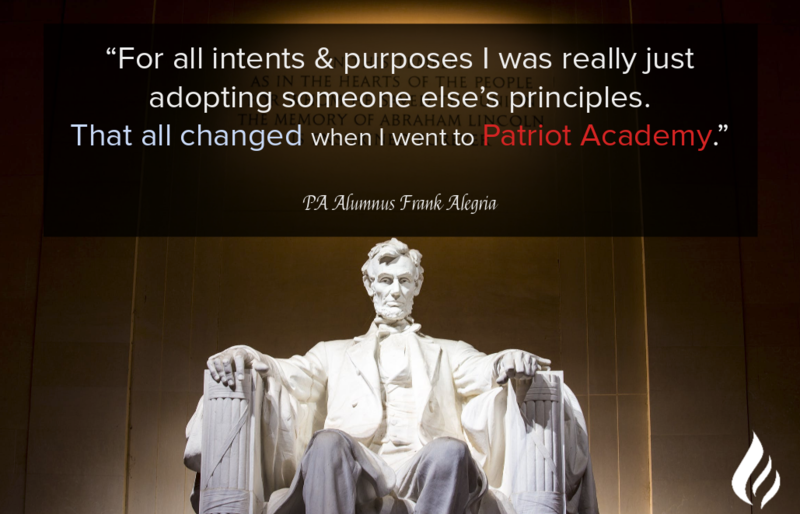 That all changed when I went to Patriot Academy. Because there, a fire was kindled in me to seek truth and pursue it. I was taught how to look at actual policy, and apply a Biblical and Founder’s perspective to it. 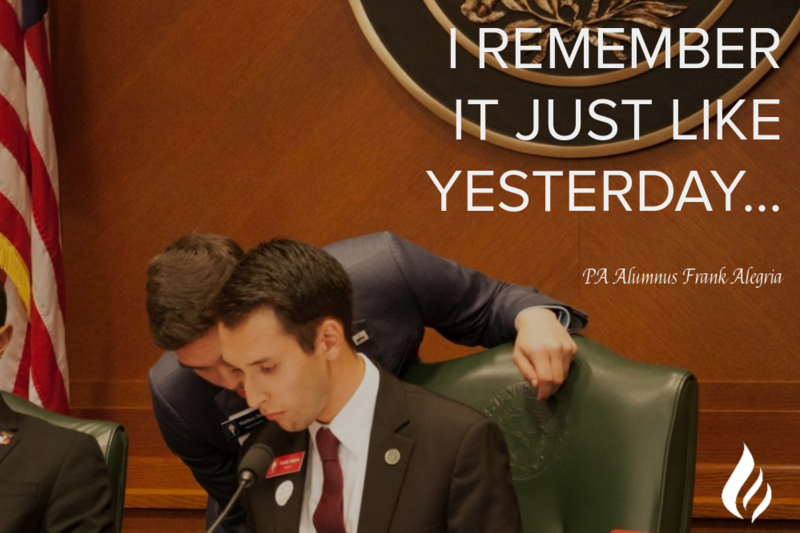 But best of all, I was taught how to use constitutional principles to build my own conservative foundation. It is because of the fire lit in me at Patriot Academy that I can now truly call myself a conservative. Maybe you’re just like I was. Maybe you’re unsure about what you believe or even why you believe it. Maybe you’re opposed to everything the Left is doing, but don’t really know why they’re wrong. Maybe you don’t have a principled foundation that you can truly call your own. 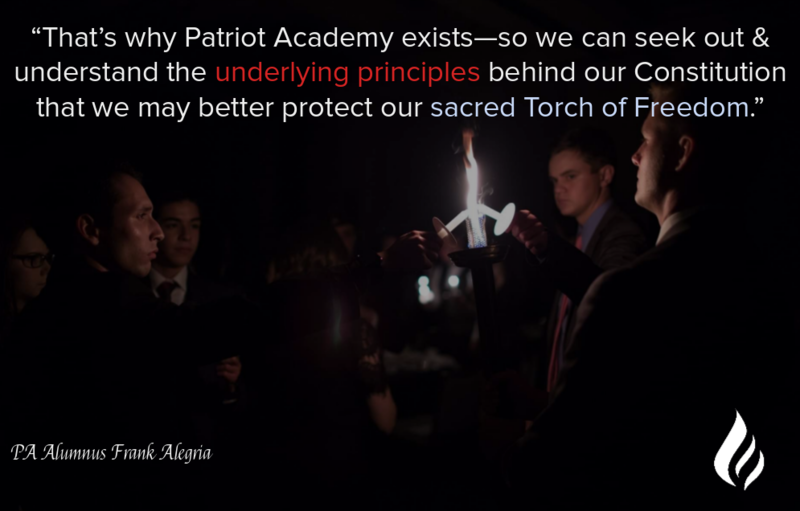 That’s why Patriot Academy exists—so we can seek out and understand the underlying principles behind our Constitution that we may better protect our sacred Torch of Freedom. Do YOU want this fire to build or even better your foundation? If so, I urge you to visit https://www.patriotacademy.com/academy-dates/ right away. Pick the Academy that fits best with your schedule and budget and submit your application as soon as possible! We’re there to learn, and we’d love to have you learn with us! So please, sign up today!